Freshscent 16 oz. Tearless Baby Shampoo $1.74 Each. Gentle on eyes, yet great for getting your hair and body clean!This wholesale hygiene product is Per..
1 oz.Tresemme Shampoo $0.42 Each. 1 oz. 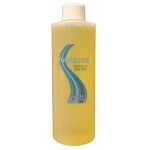 Tresemme Expert Selection Shampoo, 7 Day Smooth System. You can't go wrong with this wholesale..
1.7 oz. AXE Conditioner $0.18 Each. AXE, a leader in men's grooming, is an iconic personal care brand around the world that helps guys l..
4 oz. Shampoo $0.99 Each. All Natural Shampoo made here in the USA. 4 oz.Made in USACase of 60..
Freshscent .34 oz. Conditioner Shampoo $0.08 Each. Shampoo and Conditioner in One! Great for travel or any time a wash is needed. 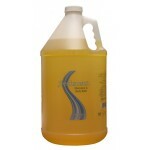 Great for hotels!&nbs..
Freshscent .34 oz. Shampoo & Body Wash $0.08 Each. Shampoo and Body Wash in One! Great for travel or any time a one use shampoo and body wash is needed..
Freshscent Conditioner 1 oz This is the perfect size for hotels, motels, bed and breakfast locations..
Freshscent Shampoo 1oz. 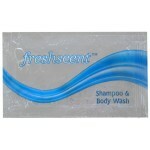 This is the perfect size for hotels, motels, bed and breakfast locations or ..
Freshscent 128 oz. Shampoo & Body Bath $9.00 Each. Great for washing both hair and body. Comes in a clear container that let's you see how much you hav..
Freshscent 16 oz. Shampoo & Body Bath $1.59 Each. Great for washing both hair and body. Comes in a clear container with screw-on lid.16 oz.Foil Safety..
Freshscent 2 oz. Hair Conditioner $0.32 Each. Great for hotel supplies, hygiene kits and travel. 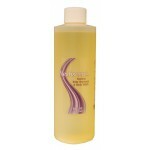 Use after shampoo for brushable soft hair. Clear ..
Freshscent 2 oz. Shampoo Body Bath $0.27 Each. Shampoo and Body Wash in one. It is the perfect size for traveling, hotels, and hygiene kits. Clear ..
Freshscent 2 oz. Tearless Baby Shampoo $0.36 Each. Gentle on eyes, yet great for getting your hair and body clean! Perfect for babies, children, and ad..
Freshscent 4 oz. Conditioner $0.46 Each. 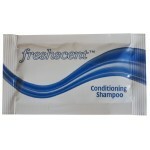 Freshscent Conditioner is Alcohol free and made in USA. Great for traveling supplies or donating to ..
Freshscent 4 oz. Shampoo & Body Bath $0.46 Each. Freshscent 4 oz. Shampoo Conditioner $0.58 Each. Freshscent Conditioning Shampoo. 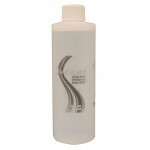 Awesome way to accomplish nice clean hair.4 oz.Clear bottlelight fr..
Freshscent 4 oz. Tearless Baby Shampoo $0.54 Each. Freshscent 8 oz. 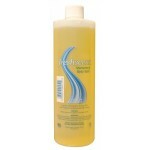 Rinse Free Shampoo $0.97 Each. Shampoo is ready to use, no water needed to use this product. Eliminates odors and is safe, comforta..
Freshscent 8 oz. Shampoo & Body Bath $0.89 Each. Shampoo and Body Wash in one formula. Perfect size for hygiene kits, hotels, and travel. 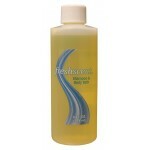 Clear bottl..
Freshscent 8 oz. Tearless Baby Shampoo $0.94 Each.